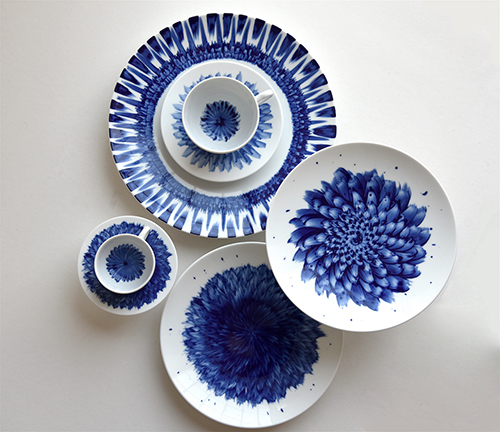 Zemer Peled just launched a new tableware collection, with the world's leading porcelain manufacturer, Bernardaud, who had collaborated with established artists as Alexander Calder, Marc Chagall, Jeff Koons, Marina Abramovic, Kara Walker, Sophie Calle, Vik Muniz and more. 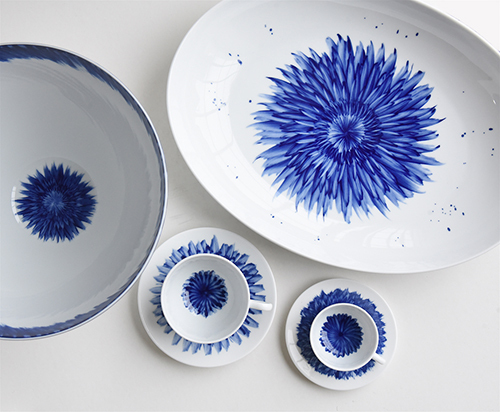 IN BLOOM - The new Cobalt Flower Collection by Zemer Peled captures the movement and dynamism associated with Peled’s sculptural work. Jubilant flowers burst forth from plates, cups, saucers, and bowls, vibrating with botanical energy. And as always with Peled’s creations, there is more than meets the eye. Peled was inspired to create this collection during her residency at the Bernardaud Porcelain Factory in Limoges, France in Spring 2017. At the factory she was able to learn from Bernardaud’s master painters and designers, ultimately coming to engage with her materials in an entirely new way than in her previous work. To create this collection, Peled has translated much of the theory behind her three-dimensional practice onto the two-dimensional surface of Bernardaud’s porcelain tableware. Peled has always sought to capture the movement of the natural world and to infuse the stoic medium of porcelain with organic rhythm. 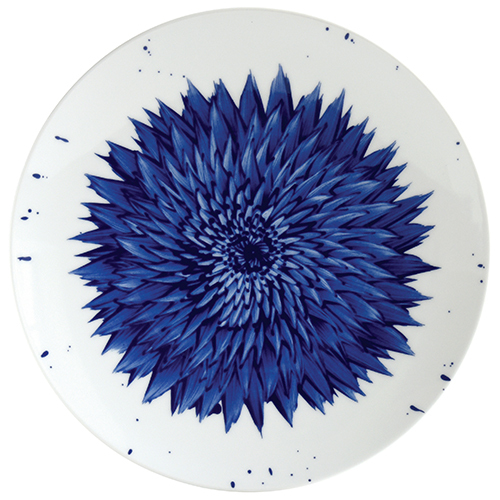 For the cobalt flowers, she achieved this through vivid brushstrokes applied while the vessel is on a spinning wheel. In this collection, Peled plays with depth and perception, another recurring theme in her work. From afar, the Cobalt Flower Collection is exactly that: flowers. However, those who slow down to take a closer look will see the cohesive image dissolve into Peled’s lively brush marks. Therefore, with this collection, we invite you to slow down, to look until you truly see, and to savor these moments of pure engagement in your life.